Last year around this time, I was sent a bunch of Tasty Bite products to try for review. They were delicious and over the next few months, I enjoyed having all of them for different meals. Now, I was sent a bunch more kinds of these products for my review. I love all of these products! Some of my favorites are the chunky chickpeas and the Bombay potatoes. All of these products have an authentic Indian flavor. 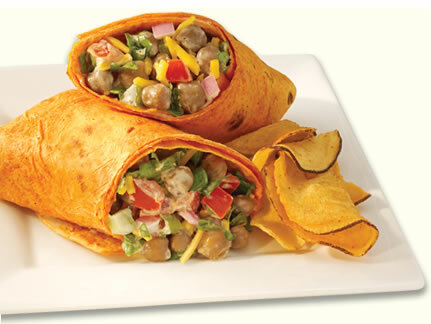 The chunky chickpeas are flavored with garlic, ginger, and aromatic spices. You can heat it up quickly and have dinner on the table in no time. I love this dish over a salad with a bunch of different vegetables. Here is some information about the company: "Launched in 1995, Tasty Bite currently offers 39 products across 4 categories: entrées, sauces, rices and meal inspirations. The flavors range from classic restaurant favorites such as a Channa Masala to unique fusion items such as the Tofu Corn Masala. Our products require no cooking, have no preservatives, require no refrigeration and as our brand suggests, taste phenomenal! You can take our products for lunch at work, use them as a side or main dish for dinner, or take them on the road while camping." The giveaway will be for the following Tasty Bite products to one lucky reader of The Nutritionist Reviews. The giveaway is open until Midnight on Tuesday August 30th. Winner will be chosen on Wednesday August 31st using Random.org. The winner will have 48 hours to respond or a new winner will be chosen. Visit the Tasty Bite website and let me know what product sounds the best to you! -Like Tasty Bite on Facebook (1 entry). -Write on the Tasty Bite Facebook page that The Nutritionist Reviews sent you (2 entries). -Tweet about this giveaway and leave a comment (1 entry). Pad Thai simmer sauce sounds good. Spinach Channa for me - I'm a bit heartbroken to not see my favorites Cx Tikka Masala and Saag Paneer. I'll heal!!! I would love to try the Bombay Potatoes. I like Tasty Bites on FB as Anne Loyd. I wrote on Tasty's Bites FB wall that you sent me their way. I would love some Bombay Potatoes. the Bombay Potatoes look good!! The Bangkok Beans entree looks best to me. The Channa Masala Looked the best! Wrote on the facebook page! I think I could do alot with it ! 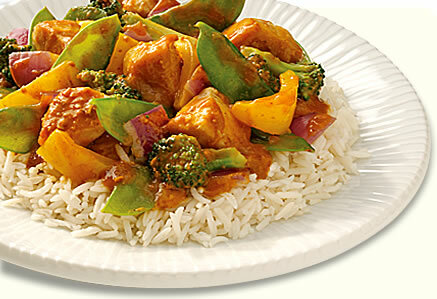 Being a fan of paneer cheese, I'd love to try Tasty Bite's Jaipur Vegetables. I think I would like Kashmir Spinach the most! The Jaipur Vegetables look yummiest to me! The Spinach Channa sounds like something I would enjoy. I liked Tasty Bite on Facebook (Deborah Rosen). 2nd entry for posting: https://www.facebook.com/pages/Tasty-Bite/100325250009197?ref=ts#!/permalink.php?story_fbid=236859566355764&id=100325250009197. I like your Facebook page (Deborah Rosen). I'm subscribed with Google Friend Connect (Deborah). I'm an email subscriber (2). I'd love to try the Vegetable Korma. I like the Thai lime pilaf. The Madras Lentils sound good to me. Whoops! Can I try this again this time with an actual email address. The Madras Lentils sound best to me. I would love to try the Pad Thai Simmer Sauce. The Mushroom Takatak sound good to me. I like Tasty Bite on Facebook as Nancy H.
The Bombay Potatoes sound delish! I want to try the bombay potatoes. The garlic brown rice sounds great to me! I follow via google and would love to try the Vegetable Korma. Channa masala is my favorite- it makes excellent camping/backpacking food! I entered the Cutco giveaway. Rogan Josh Simmer Sauce sounds really good to me. I'd like to try the Channa Masala. I'd love to try the Tikka Masala. Sounds yummy! I would love to try the Spinach Channa. I Like Tasty Bite on Facebook - Angela Cash. I wrote on the Tasty Bite Facebook page that The Nutritionist Reviews sent me. I follow you via GFC - Angela Cash. I think the Aloo Palak sounds great!